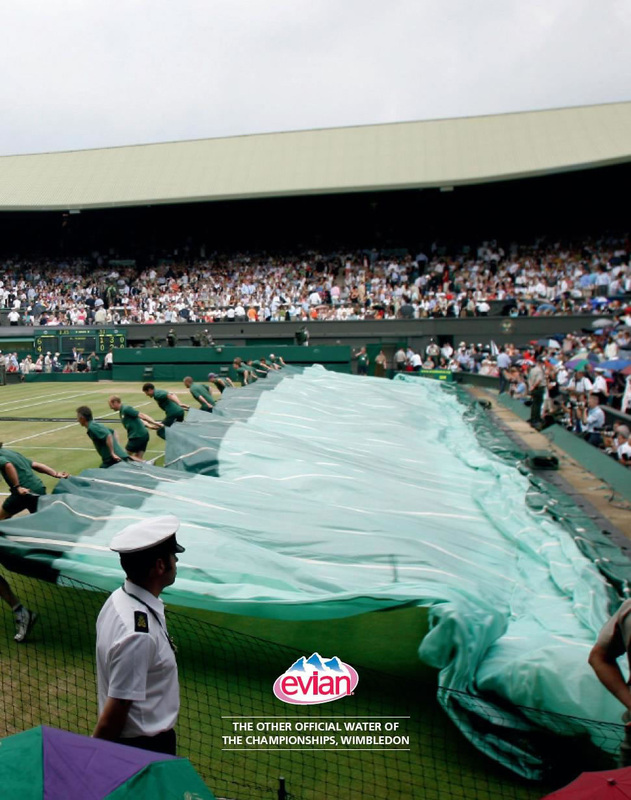 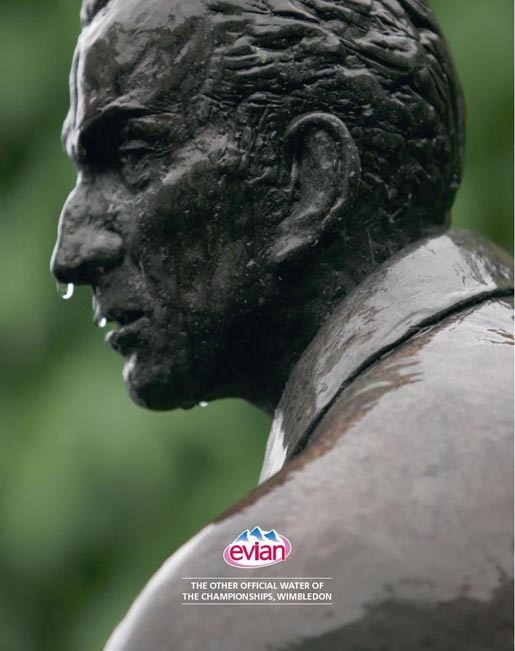 Evian’s sponsorship of Wimbledon tennis championships in 2008 was promoted in a print advertising campaign featuring rain, the other official water of the championships, Wimbledon. 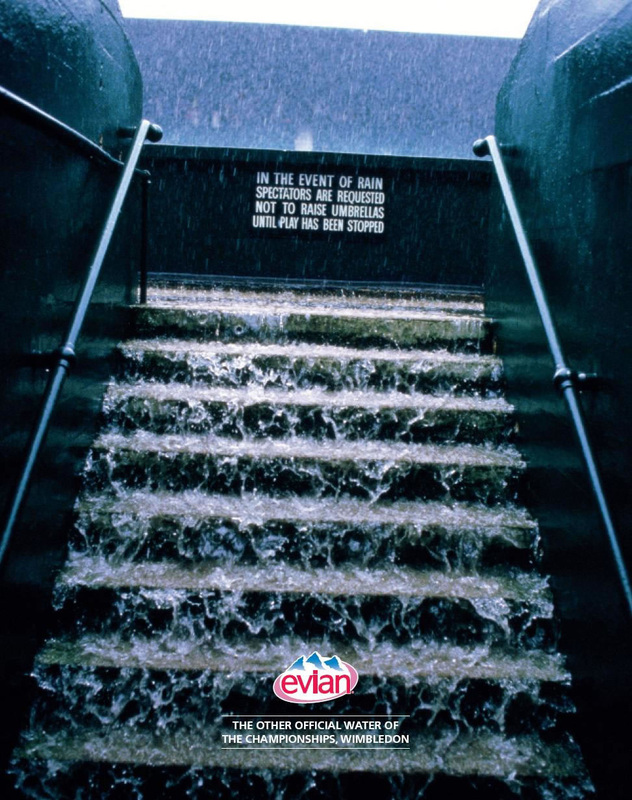 Ads feature water dripping off a statue of Fred Perry, running down a flight of stairs and forcing the use of ground covers. The Other Official Water campaign campaign was developed at Euro RSCG, London, by creative director Mark Hunter, copywriter Samantha Richards, art director Phil Beaumont, typographer Matt Palmer, using stock photography.